You have a great idea, a vision with goals and objectives. Now you need a financial plan to map your way. Financial planning with forecasting can spell success and guide you through difficult times. 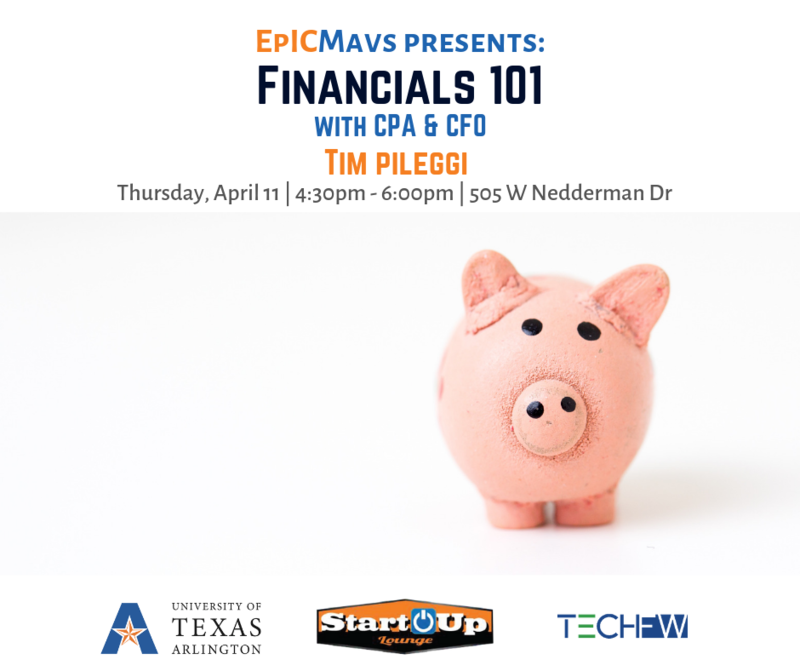 Join us for EpICMavs at the Startup Lounge as Tim Pileggi, CPA and CFO, helps us understand the impact decisions have on financial statements and cash.